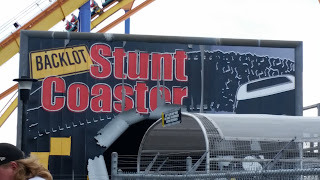 Backlot Stunt Coaster was the second ride we rode at Canada's Wonderland. I literally only wanted to ride this because I remember the one at Kings Island having cool special effects like fire. 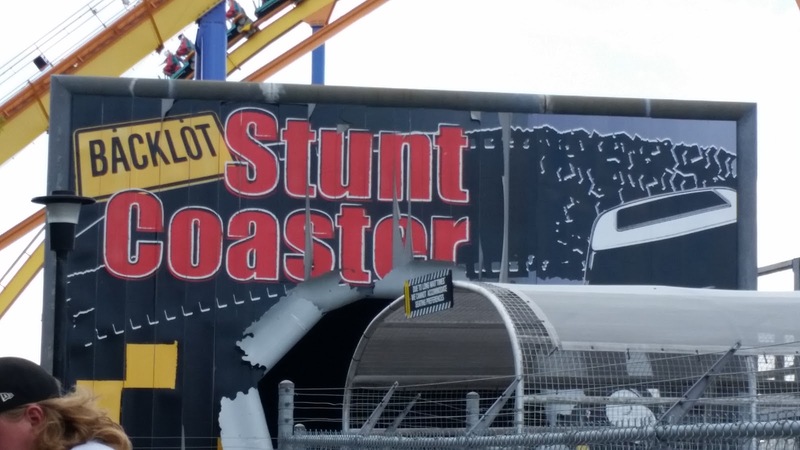 Well, we had no special effects on our ride whatsoever. It was super bumpy (although it's steel) and super boring, with only one surprise dip at the end. I was not happy. The ride from the point of view from the front car like we experienced it can be found here, and here is what it's supposed to be like with the special effects. We don't take videos or photos when we ride so all the links to videos will be from other people.